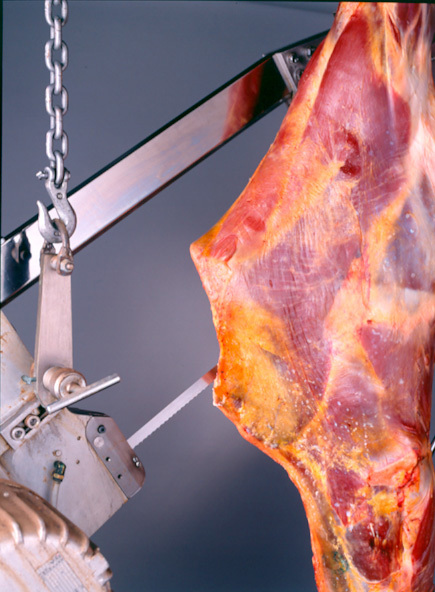 KASCO carcass splitting saw blades are engineered to slice through even the toughest of meats. Made from quality materials to ensure usability and reliability, these blades are durable and long-lasting while providing a precise cut time after time. The wider band saw blade adds strength and stability for accurate and straight splits. These blades are engineered to handle large volume jobs and deliver a punishing breaking operation. They also reduce downtime while breaking and quartering. KASCO carcass splitting saw baldes come in a variety of sizes for specific uses. CSHP - Carcass splitter, hard tipped, precision ground. HP - Hard tipped, precision ground.